The DownEast & Acadia region features a fantastic range of dining options and something to satisfy most every taste and budget—from traditional New England fare, to innovative American, authentic Italian, classic French cuisine, and every taste in between. Fine dining establishments, country inns, and chic resorts serve up sophisticated culinary delights for the cultured palate, while small town diners, bistros, and cafes pile your plate high with delicious home-cooked meals. 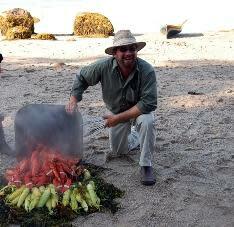 Since you’re DownEast, it all begins with seafood. This is where the region truly shines. Get all you can eat at one of the countless lobster pounds in the area, where fresh cooked lobsters, steamed clams, corn on the cob, and more are served harbor-side on picnic tables. Some are clustered along main roads; others are off the beaten path. Be on the lookout! Or come experience an authentic chowder house— the perfect place to relax and refuel after a day of activities. Most area seafood restaurants also serve shrimp, mussels, scallops, haddock, trout, and salmon—prepared in traditional ways, such as in chowders or fried and broiled, but also served in unique house dishes to surprise and delight. If you’ve never experienced a true Maine lobster roll or a classic New England clam chowder, DownEast Maine is the place to be! Of course, you can’t visit DownEast Maine without tasting some of its scrumptious wild blueberries. 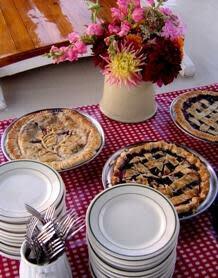 Did you know that the blueberry pie is Maine’s official state dessert? This delectable fruit is plentiful in the DownEast area. You’ll find blueberry treats in area restaurants and markets and can often buy freshly picked Maine wild blueberries from a local on the side of the road! If you are visiting in August, you must make a trip to the annual Machias Wild Blueberry Festival. This popular festival, which includes plenty of blueberry treats, a pie-eating contest, a parade, music and much more, is said to put Machias, Maine on the map! Looking to turn your travels into a culinary experience? You’re in the right place. The region is chock-full of fine dining establishments, featuring creative and talented chefs and eclectic and sophisticated menus. Some serve steak and seafood, others specialize in international cuisine. Many blend fresh artisanal products bought at local farmer&apos;s markets with items shipped in from international suppliers. If you’re interested in a laidback experience, the many regional diners offer a casual alternative to the area’s fine eateries. Friendly and welcoming, their service is unmatched! Look for buffets, seasonal fruits and vegetables, and menus that are overflowing with pasta selections, specialty sandwiches, and more. Most boast a sinful selection of house-made desserts and breads. 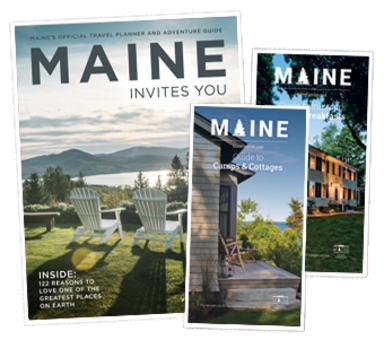 Visit the Maine Restaurant Association for more on where and what to eat while visiting DownEast Maine.